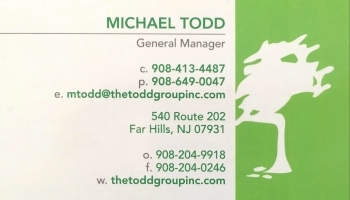 The Todd Group has been creating premier outdoor spaces for discerning NJ homeowners since 1975. We specialize in building quality garden spaces with unique outdoor living areas that include custom masonry patios with water features and outdoor kitchen and dining rooms. The landscapes we create invite families to gather outdoors around a stone fireplace on a cool New Jersey evening or to escape the heat of summer in a soothing pool or spa. Our property care division offers maintenance programs to ensure that everything looks picture-perfect all year long. You can expect high-end design and expert workmanship from our team and a commitment to making your landscape one of the highest quality. You are the architect of your life, let us be the architect of your property.